To view the 'Availability Report,' go to the tab 'Reports' -> and under 'Employee' -> 'Availability'. Here you can view your 'Availability' by day during a certain date range. The 'Total' shows hours/percentage for which someone is available during the selected date range. At the top, you have date range filters as well as can filter by 'Positions', 'Employees' and by 'Skills'. 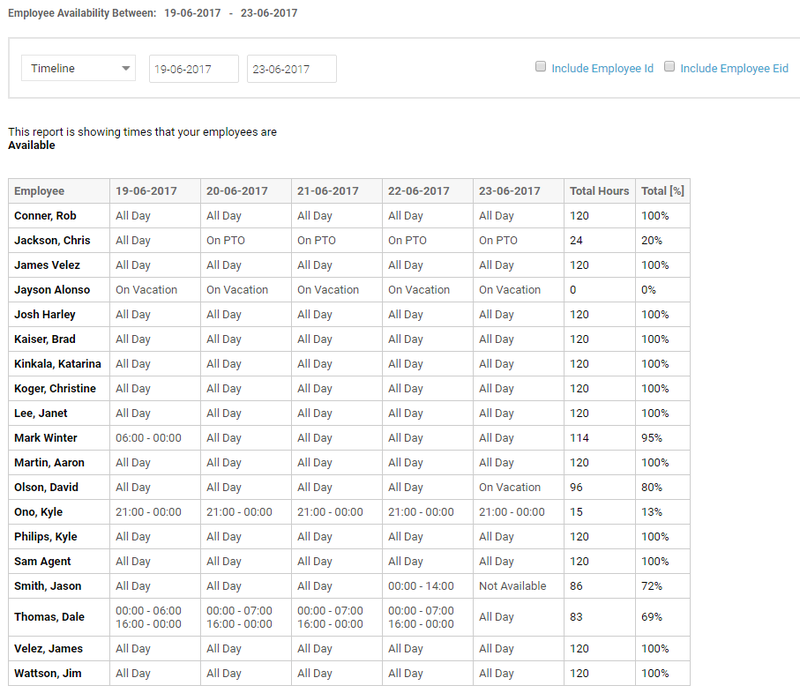 You can also sort by the 'Employee Name' and by the 'Employee Start Date'.